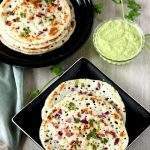 Rava dosai is my first choice when we go out to eat in a South Indian restaurant. 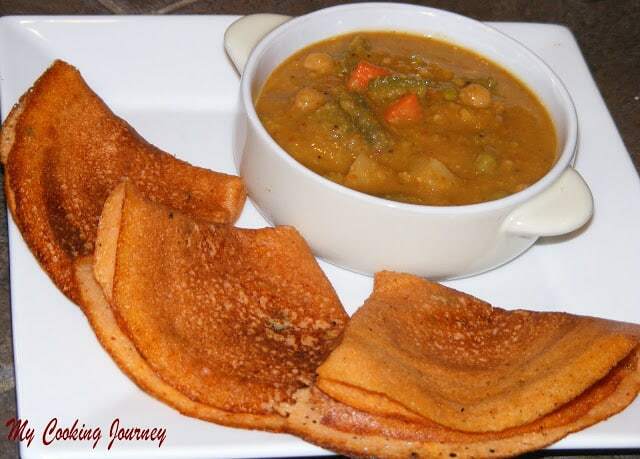 The crunchy dosai with sweet onions is so delicious accompanied with chutney and/or sambhar. 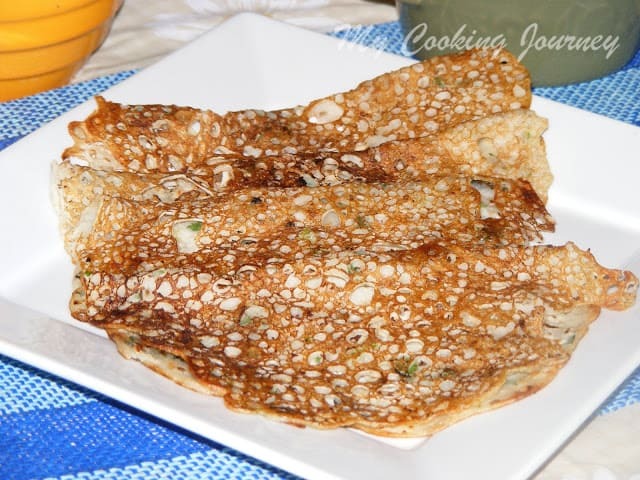 My previous attempts to make this dosai at home have failed very many times. This is one recipe that works really well. 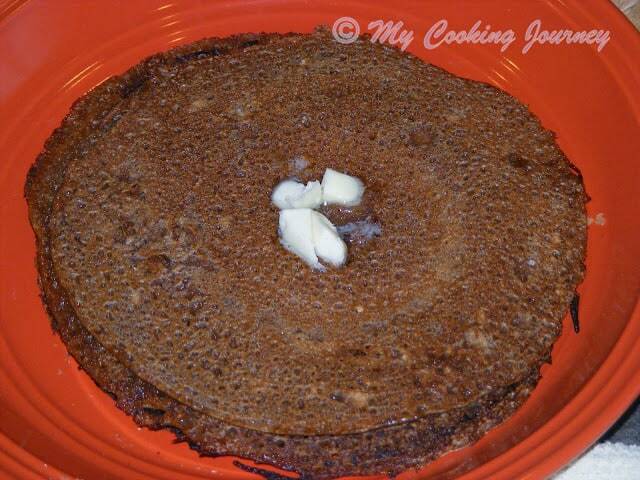 I found this recipe from Rak’s kitchen and the texture of the dosai is right where I want it to be. 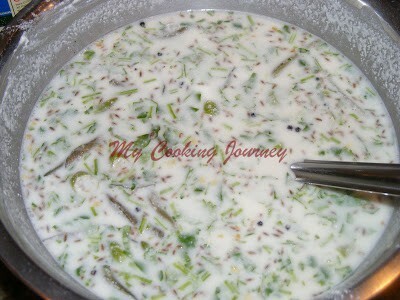 This is a quick recipe and does not require any soaking time. 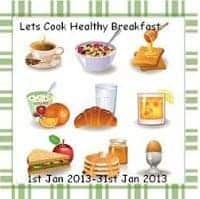 Hence it would work really well as a breakfast recipe. 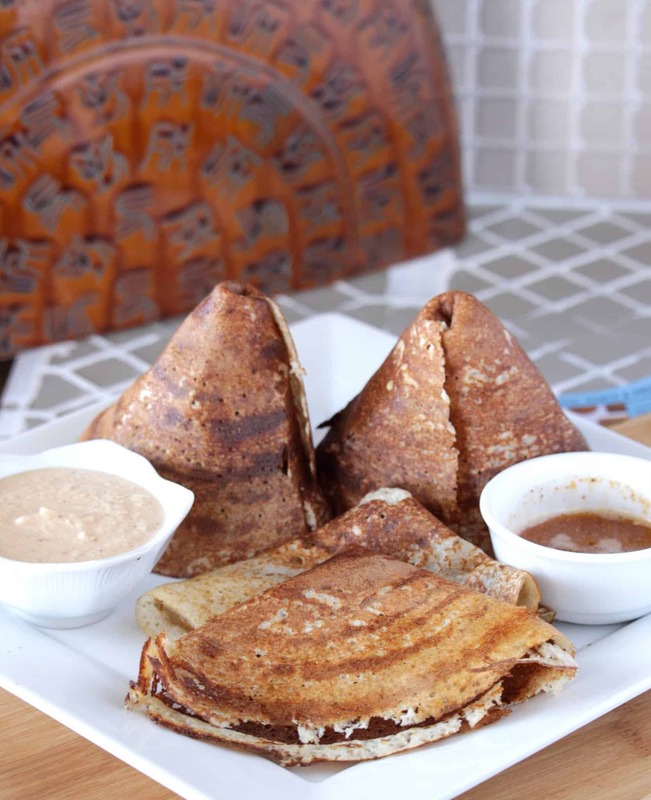 The only catch to this dosai is that it has to be eaten hot from the pan. 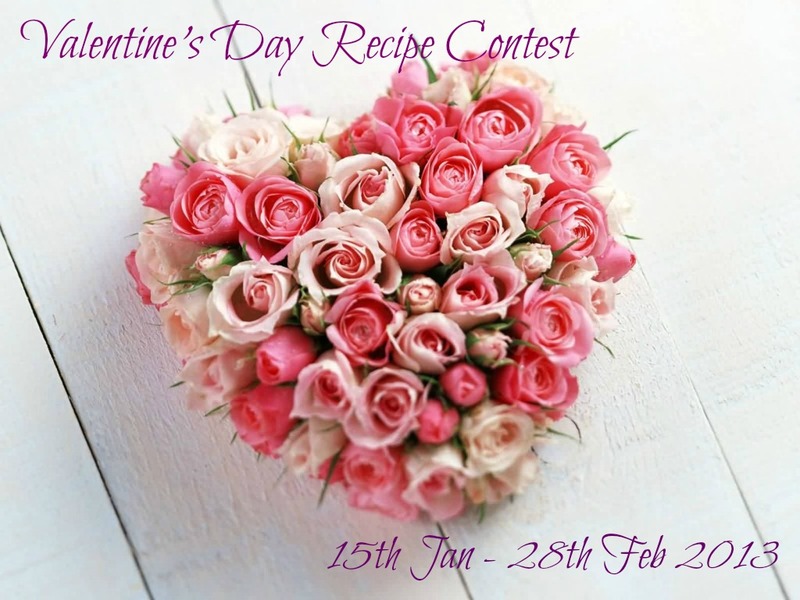 Make sure to use this opportunity to have your better half make this for you. 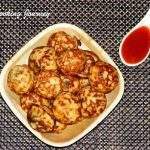 Mix all the ingredients mentioned above except the oil and make a very thin batter. It is very important that the batter should be very thin. 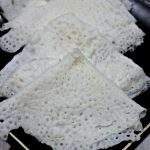 Since rava soaks lot of liquid, it will be important to keep adding water (and needed salt) throughout the dosai making process to ensure crispy dosai’s. 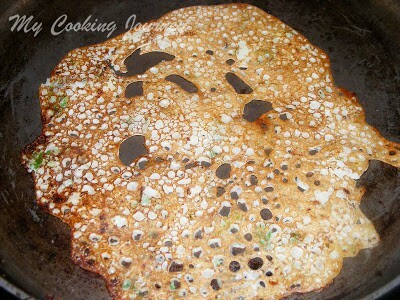 Thin batter ensures lacy and crispy dosai. It does not require you to let the batter sit, but it does not matter if it sits for some time. In that case we just have to make sure the batter is in the right consistency. Heat a non stick or cast iron pan until it is very hot. 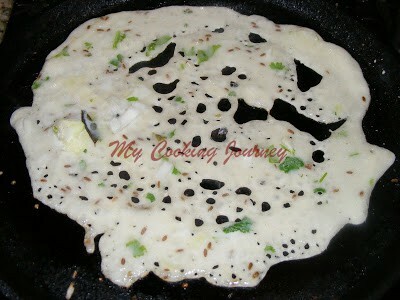 Pour the batter from the outside to inside to make lacy dosai’s. 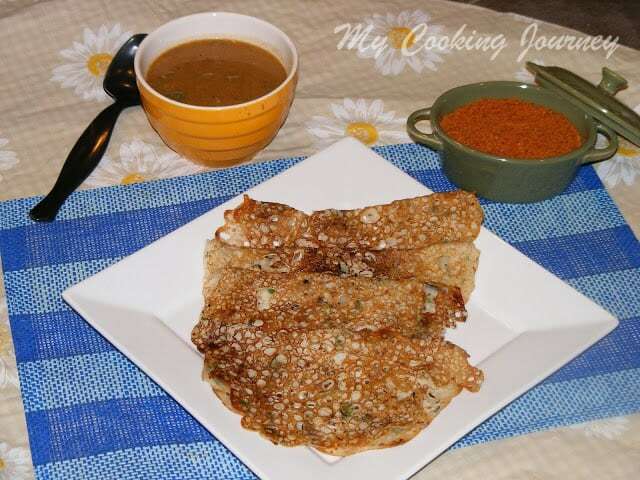 Apply ghee or oil around the dosai. Once this side has browned, flip it to the other side and let it brown on this side. Remove and serve immediately. Repeat the same procedure with the rest of the batter. The recipe that I referred to did not have the onions mixed into the batter. She had sprinkled the onions after the batter was poured on the pan. I felt that mixing the onions worked better for me. 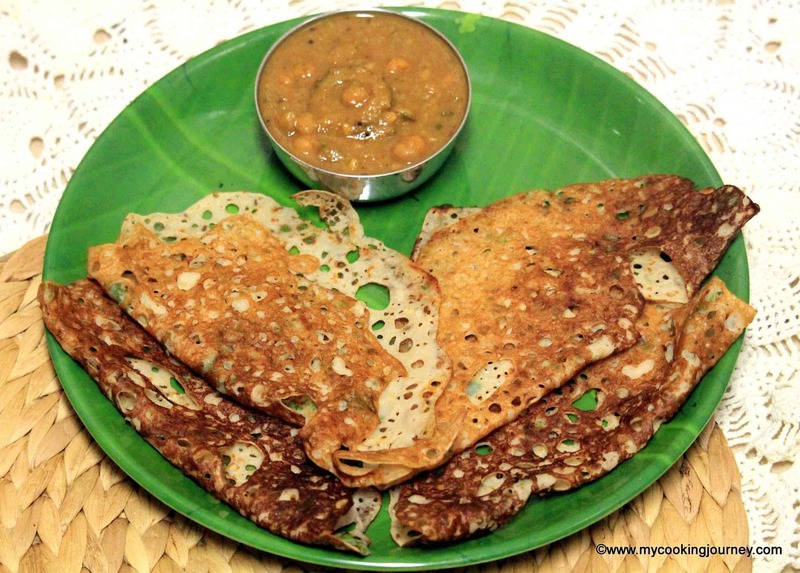 The ghee gives a very crispy texture to the dosai, but oil should do the job fine as well. I used ghee for my kids and oil for us. 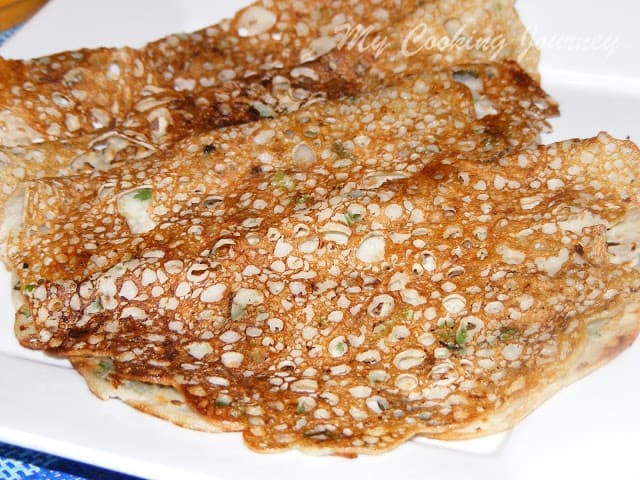 This dosai could also be made without the onions. that is so perfect!!!! looks very tempting!!! Such a great way to start the day!!! Meena Aunty, it does need couple of attempts to get it right. I realized that when the pan is really hot, it works quite well…People say non stick pans work well…I do not use non stick, but it worked great in my cast iron pan as well.. 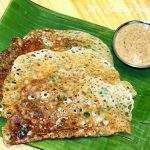 I love rava dosa not only its crispy but melts in our mouth nicely.Nicely made sandhya. 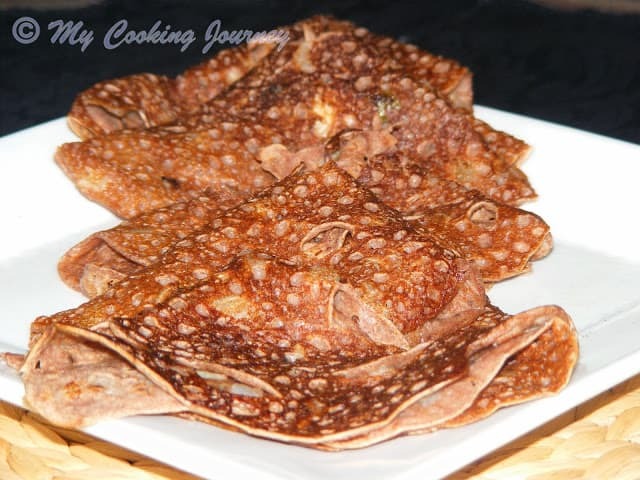 Crispy dosa Sandhya, I make some time. 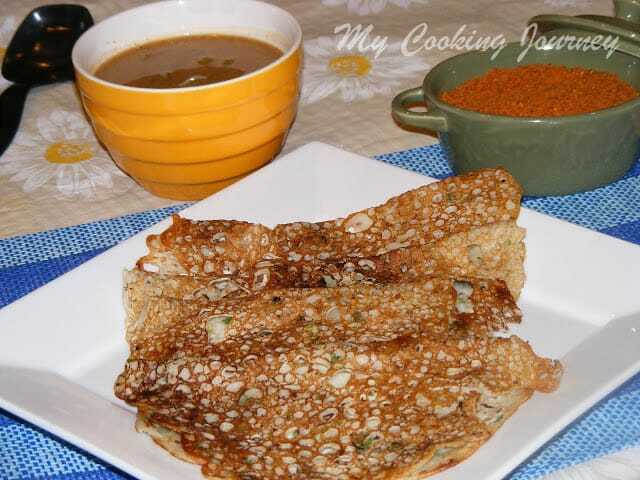 Super lacey and crispy dosas, thanks for linking.. 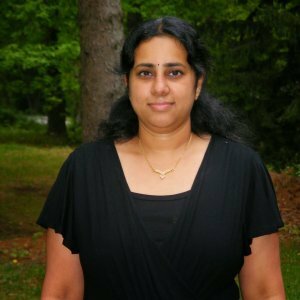 Thanks Priya and my pleasure! 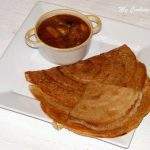 One of my favorite dosai. Looks yummy. 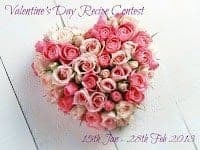 Thx for linking.